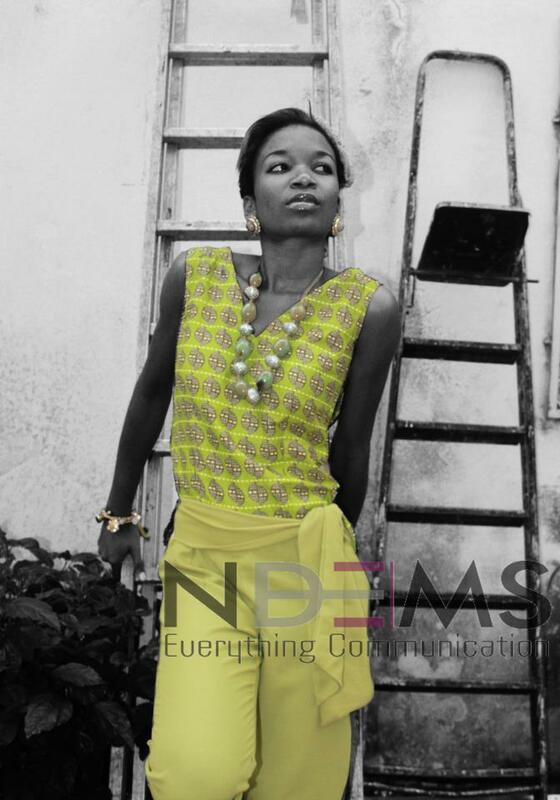 Buea-based budding fashion designer Reneta Ndisang keeps making fabolous strides in bringing style , classiness, uniqueness, and beauty closer to you through her breath-taking avalanche of designs. Inspired by colours of the world, her brand new collection has a remarkable touch of African glamour and originality. If you pride yourself to be a sucker for fashion, this is definitely where your heart desire lies. 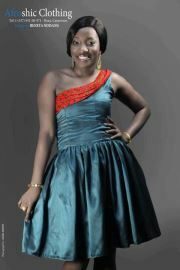 For all parties , Afroshic is ready to serve you with mouth-watering outfits !. NexDim caught up with her after unveiling this collection and she states ; ”It is my way of saying thank you to all the people in the world and especially to the women out there” . Reneta is currently gearing up to design flamboyant Red Carpet clothing for Cameroon Entertainment Awards scheduled for July.